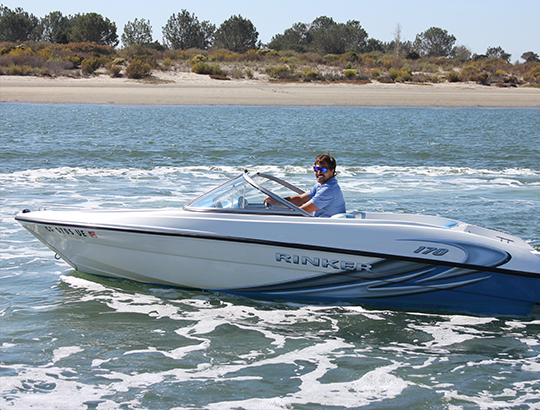 Bahia partners with local experts Actions Sports Rentals to provide an array of water sport rentals for fun Mission Bay activities at reasonable prices. 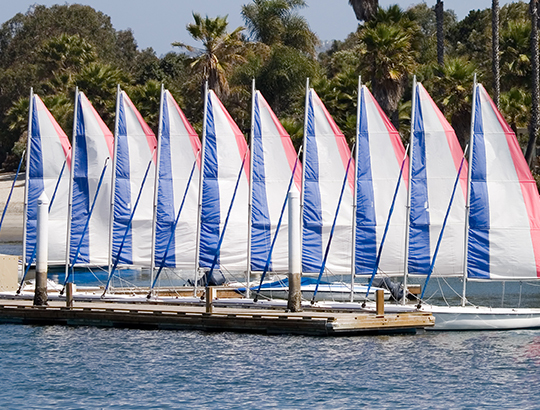 Take out kayak or paddle board for an unforgettable sea adventure on Mission Bay. If you prefer being on land, opt for a cruiser bike and enjoy the laid back vibe of riding around the boardwalk. 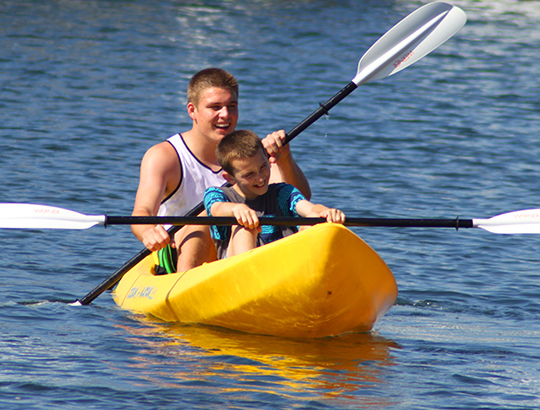 Mission Bay is the ideal location for a leisurely kayaking experience. Launch from the sandy beaches of the Bahia Resort Hotel, and paddle around the still bay waters in either a single or tandem kayak. 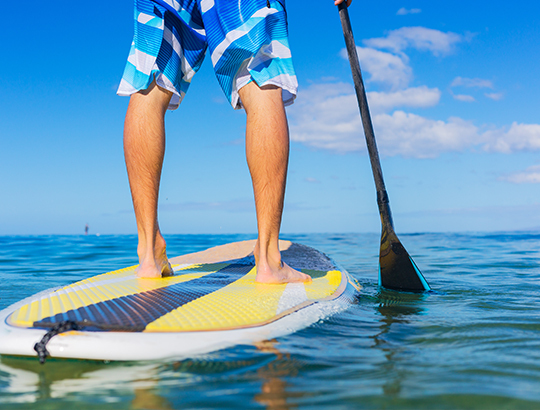 Navigate the calm waters of Mission Bay on a stand-up paddle board. A great core workout and an excellent water sport option for beginners, paddle boarding is a fun activity for the entire family to enjoy. Fun for all ages, body boarding is a great activity to ride San Diego’s gentle waves along the shore. 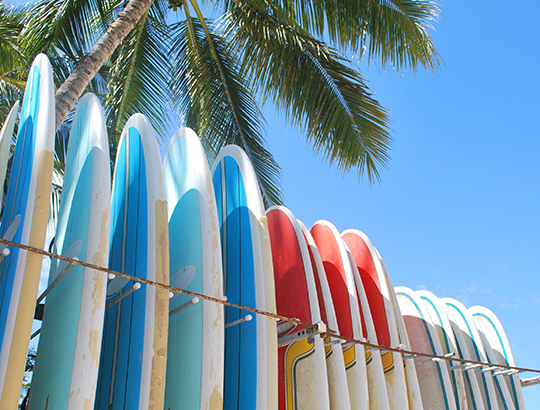 For even more of a challenge, try water sport lessons for surfing and experience the magic of gliding on the Pacific Ocean. Exploring by bike is an active way to experience Mission Bay’s unique boardwalk. 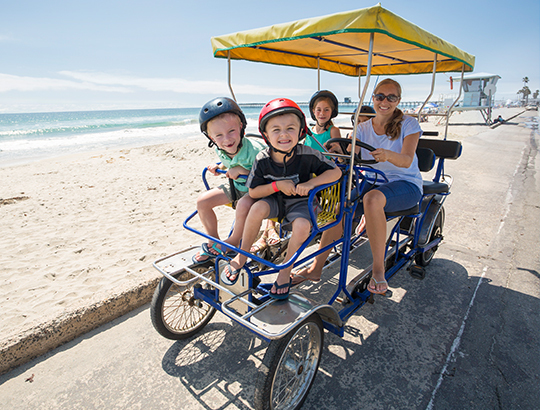 Follow the lead of the locals and take a relaxing boardwalk ride on a cruiser bike. Or rent a single or tandem surrey bike which provides shade while you pedal with up to 6 passengers.